Singapore, Dec 4 : Asian shares were mostly lower Tuesday as investors questioned if a 90-day truce in a tariffs battle will allow the U.S. and China to resolve a range of issues from technology development to trade. 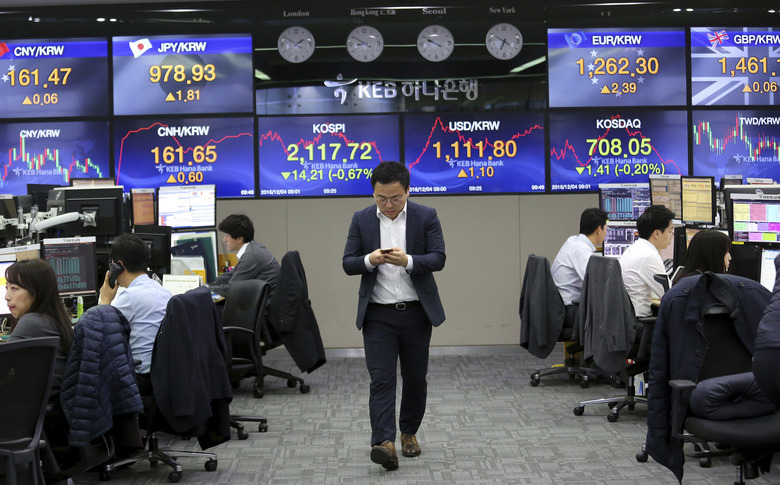 KEEPING SCORE: Japan’s Nikkei 225 index shed 1.0 percent to 22,356.80 and the Kospi in South Korea lost 0.5 percent to 2,120.65. Hong Kong’s Hang Seng dropped 0.2 percent to 27,139.87 while the Shanghai Composite index was flat at 2,655.96. Both Chinese indexes finished more than 2 percent higher on Monday. The S&P ASX/200 in Australia gave up 0.9 percent to 5,721.00. Shares fell in Taiwan and Singapore but rose in Indonesia and the Philippines. U.S-CHINA TRUCE: On Saturday, a meeting between U.S. President Donald Trump and Chinese President Xi Jinping ended with a verbal agreement to hold off on further tariffs for at least 90 days. Trump was set to raise tariffs from 10 to 25 percent on $200 billion in Chinese goods, starting Jan. 1. In return, the White House said Xi will buy a “very substantial amount” of U.S. agricultural, energy and industrial products. On Monday, Treasury Secretary Steven Mnuchin told reporters that the leaders had detailed conversations on 142 items and will need to turn those pointers into a “real agreement” in the coming months.